Show airs live from noon to 1 p.m. ET each Saturday on WICR 88.7 FM in Indianapolis. Or listen live from anywhere during the show. Did you miss the show "An artist who confronted segregation"? Did you miss the show "Distinctive historic homes"? Your contribution helps keep Hoosier History Live on the air! To receive our weekly Hoosier History Live newsletter, sign up here. Hoosier History Live thanks our partners who help the show to go on! Website design, email marketing and PC consulting. Promoting Indy and providing us with wonderful prizes for our History Mystery contest, including museums, sporting venues and great places to dine. Our anchor radio station, on the campus of University of Indianapolis. Among distinguished Hoosiers in public life, few have been associated with historic preservation more closely - or longer - than former Indiana Supreme Court Chief Justice Randy Shepard. A trustee for 11 years for the National Trust for Historic Preservation and a former board chair (and current honorary chair) of Indiana Landmarks, Justice Shepard grew up in Evansville. In an article about him in the March/April issue of Indiana Preservation, Justice Shepard traces his interest in historic buildings to his teenage years during the 1960s, when he marveled at historic architecture on his daily trip to Evansville Central High School, which was - and remains - among the oldest public high schools in continuous operation west of the Alleghenies. During the 1970s, the school moved to a new building, and Old Central was demolished to create a parking lot. Justice Shepard, who was the longest-serving chief justice in Indiana history when he retired in 2012, will be Nelson's studio guest to discuss the role of historic preservation in building stronger communities across Indiana. Currently a visiting professor at the IU McKinney School of Law in Indianapolis, Justice Shepard also will share insights about Indiana's constitutional history, particularly on issues such as slavery and individual rights. He also plans to discuss the ways that state history likely influenced young Abraham Lincoln, who lived in southern Indiana from ages 7 to 21 - the future president's "formative years," as Justice Shepard puts it. Lincoln moved to what is now Spencer County from Kentucky with his parents and sister in 1816, the same year Indiana became a state. A seventh-generation Hoosier, Justice Shepard has held several national leadership posts in the legal profession, including serving as chairman of the Conference of Chief Justices. He is a graduate of Princeton University and Yale University Law School. In the book Justices of the Supreme Court (Indiana Historical Society Press, 2010), he is praised for his "wisdom, plain English and independence." According to the Indiana Preservation article, Justice Shepard's passion for preserving historic structures even had an impact on his family life. He met his wife, Ohio native Amy MacDonell, when she was visiting Evansville during National Historic Preservation Week. Guest Roadtripper Ken Marshall, educator and backroads Indiana "bon vivant," tells us about the history of Donnell's Knoll in Johnson County, located near the center point of the county at Centerline Road and Commerce Drive. Donnell's Knoll, a natural landmark and meeting site, was used by the Lenape (Delaware) Native Americans as a campsite during their annual migration. The often swampy area was abundant with wild game and fish. Early Johnson County pioneer George King later owned this area and originally earmarked it for the development of the town of Franklin. But a land swap with his brother-in-law, Simon Covert, who owned the land where Franklin College sits now, changed Franklin's location. In 1841, the knoll became the home of J.H. Donnell, a doctor who moved to the area from Greenwood. Today, Donnell's Knoll looks over a sweeping vista of central Indiana farmland. Tune in to the Roadtrip report to hear Ken share more details about this bucolic slice of Indiana history. In 1984, the first woman to be a federal judge in Indiana was appointed. Although a native of Mishawaka in northern Indiana, she became a judge for the U.S. District Court of Southern Indiana. Since then, she has been a civic leader, chairing the boards of the Indiana Historical Society, Conner Prairie and other organizations. Along with our guest, former Indiana Supreme Court Chief Justice Randy Shepard, she served on the Indiana Bicentennial Commission that oversaw celebrations and projects for the state's 200th birthday in 2016. Question: Who is the first woman to serve as a federal judge in Indiana? Hint: She discussed her trailblazing career on Hoosier History Live in 2014. Please do not call in to the show until you hear Nelson pose the question on the air, and please do not try to win if you have won any other prize on WICR during the last two months. You must be willing to give your first name to our engineer, you must answer the question correctly on the air and you must be willing to give your mailing address to our engineer so we can mail the prize pack to you. Prizes are two passes to the Indiana History Center, courtesy of Indiana Historical Society, and a gift certificate to Story Inn in Brown County, courtesy of Story Inn. Please email molly@hoosierhistorylive.org if your business or organization would like to offer History Mystery prizes. People are talking about Hoosier History Live! 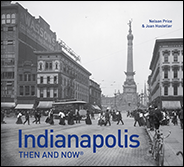 "Hoosier History Live has amassed a vast library of content over the years, both with the show audio and newsletter material. I believe that the Hoosier History Live content has great value to sponsors and advertisers via widespread online distribution. Nowhere else do you find the fresh new material each week, the depth of stories, the richness of detail, and the long-term consistency." - John McDonald, CEO, ClearObject in Fishers, Indiana, Inc. Magazine’s fastest-growing IT company in Indiana for 2014, 2015, 2016 and 2017.
Who is the only person to participate, as a musician at an Indiana high school, in the Spectacle of the Bands at the Indianapolis Motor Speedway, then eventually compete as a race driver in the Indianapolis 500? How did Purdue University begin their role as "host band" for the opening ceremonies at the racetrack - and how big is one of the band's most recognizable symbols, the "World's Largest Drum"? And who has been the oldest winning driver in Indy 500 history? The answers are among the fun facts about "The Greatest Spectacle in Racing" and its pageantry - including the 500 Festival Parade - that Nelson's studio guest will share during our show. A tour guide at the racetrack, James Craig Reinhardt (who is known as "Craig") retired from his job as a Tampa businessman to move to the town of Speedway and indulge his lifelong dream of being affiliated with the world-famous race. Craig is the author of two new books, both published by IU Press: The Winning Cars of the Indianapolis 500 and The Indianapolis 500: Inside the Greatest Spectacle in Racing. As he does in his books, Craig will explain the origins of the long-time "Gentlemen, start your engines!" command - and the controversy that unfolded when it was initially modified in 1977 as Janet Guthrie became the first woman driver to qualify for the race. Craig says his interest in the Indy 500 was sparked during the early 1950s when his father took him to the race, which kicked off a string of more than a dozen such visits. "I can still remember sleeping in our red and white Pontiac Star Chief on West 16th Street across from the main gate the night before a race," he says. As a tour guide since 2014, he has kept notes about questions that the public frequently asks about the race and its storied venue, which led him to compile the answers in his two books. According to The Winning Cars of the Indianapolis 500, the oldest champion driver since the first Indy 500 in 1911 was Al Unser Sr., who took the checkered flag in 1987 when he was 47 years and 360 days old. According to The Indianapolis 500: Inside the Greatest Spectacle in Racing, the only person to be both a Spectacle of the Bands musician and a race driver was Johnny Parsons, who drove 12 times in the Indy 500 between 1974 and 1996. Before his racing career, Parsons was a trumpet player in the marching band at Scecina Memorial High School and participated in the pre-race musical festivities. (History fact: Parsons is the son of Johnnie Parsons, who won the Indy 500 in 1950. Speaking of bands: The Purdue University All-American Marching Band has been the "host band" since 1919, making this the 100th anniversary for the tradition. Hoosier History Live podcasts are now available for free at the Apple iTunes store! We've been providing podcasts of Hoosier History Live for a couple of years, posting links to recent shows at the top of each newsletter and on the weekly update to our website. Listeners tell us they love the opporunity to listen to the show at a time that's convenient for them; our fans also share the link to the podcast with friends who might be interested. Those who like to subscribe to podcasts can now find us in the Apple iTunes store as well - at no charge, of course. Just open your iTunes app, click in the search box and type "Hoosier History Live." You can choose the previous week's episode, or an earlier one that we've posted. We're working to get listed on all the major podcast providers as well; send us an email if your favorite one doesn't carry us, and we'll make sure it gets posted there. We'll keep posting podcast links on our newsletter and website as before. And if you're looking for a podcast from a 2017 or 2018 show, just go to the Archive page on our website and you'll see the podcast link posted right below the show's title. Thanks to associate producer Mick Armbruster for heading up our online distribution project. Our growing availability as a podcast and on iTunes is great news for our sponsors as well. More media reach! New to podcasts? All you need is a computer or smartphone, and you can listen to radio shows (and more!) wherever and whenever you want. Confused by the new-fangled technology? Check out this guide to podcasts, provided by Wired Magazine. Another great option: the New York Times Beginner's Guide to Getting Into Podcasts. "...a great way to represent what I do..."
"Hoosier History really is 'Live'--and 'Lively' as well. The program brings to new audience the delight and wisdom that comes with knowing more of our past and our connections as Hoosiers." "Hoosier History Live does more to promote Indiana history than does any single source." "Hoosier History Live is a fun and interesting way to learn about the heart and soul of Indiana. No boring classes or books here! The production team does an outstanding job." "Distilling life experience into stories is an art. Telling stories of life experience for Hoosiers past and present will shape the lives of young people and enrich the lives of all in our state. 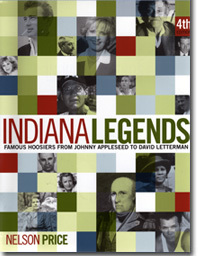 Mr. Nelson Price brings alive the life experience of notable Hoosiers in Hoosier History Live." "Nelson Price, more than anyone I know, infuses joy into the pursuit of history. And that joy rings out loud and clear on the radio show, Hoosier History Live." "Hoosier History Live is a perfect place to consider and reconsider history ... not just what happened in the past, but what it may mean in the present. Nelson Price is the perfect host: enthusiastic, curious and knowledgeable. Tune in to Hoosier History Live and be prepared to be surprised." "Hoosier History Live is a fantastic opportunity for people to not only learn about history, but also become a part of the conversation. Much like our mission, the telling of Indiana's stories, Nelson and his guests wonderfully connect people to the past!" "The links on the Friday Hoosier History Live enewsletter are a great way to learn more about history, and from a variety of sources." "No, I haven't heard of another call-in talk radio show about history. Our airwaves are now full of the worst vitriol! Give me the phone number for the show. I want to call in!" We offer a permanent and growing archive of quality online content, including podcasts and our iTunes feed. 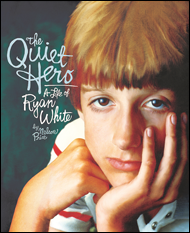 Thanks to associate producer Mick Armbruster for directing our online audio distribution. If you are interested in becoming a sponsor of our online show, click here or call Molly Head at (317) 927-9101. Local show only sponsorship is also available, which includes logos and links on our enewsletter, website, and voiced credits on our local show.